These 100 inspirational life quotes are thought provoking words of wisdom, love and guidance. All of the quotes are from the life quotes & sayings pages on this site, but as there are so many entries on these pages (and always increasing), I have taken what I believe to be the most inspirational to form this page. The quotes are listed in order of the authors surname with the unknown at the end. 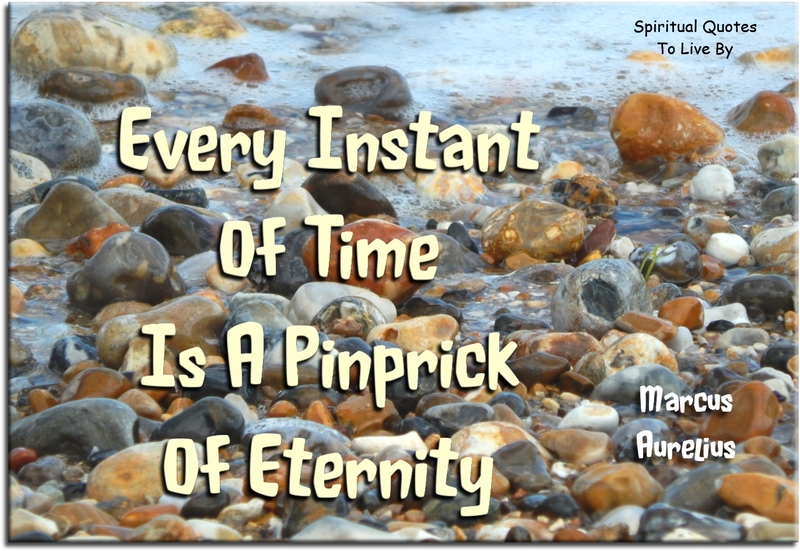 Every instant of time is a pinprick of eternity. If you’re alive... it isn’t. Your heart is your paintbrush. The entire Universe is your canvas. Life doesn’t happen to you, you receive everything in your life based on what you’ve given. Live by intuition and inspiration and let your whole life be a revelation. Variety’s the spice of life, that gives it all it’s flavours. Life is a preparation for the future, and the best preparation for the future is to live as if there were none. To keep balance you must keep moving. Golf without bunkers and hazards would be lame and monotonous.. Nothing is worth more than.. 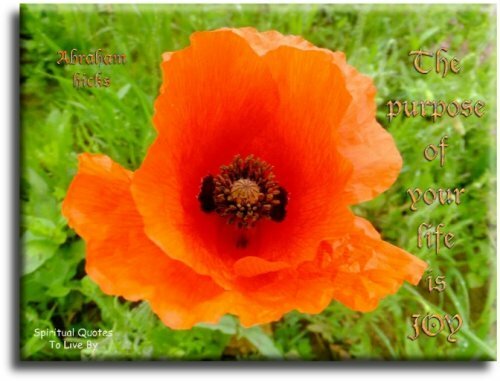 I breathe in the fullness and richness of life. 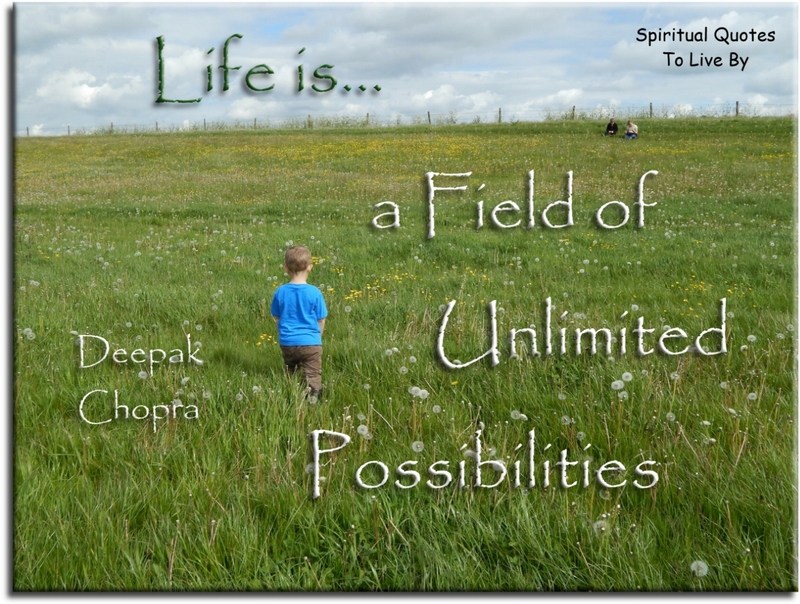 You never know when it is going to happen, when you will experience a moment that dramatically transforms your life. 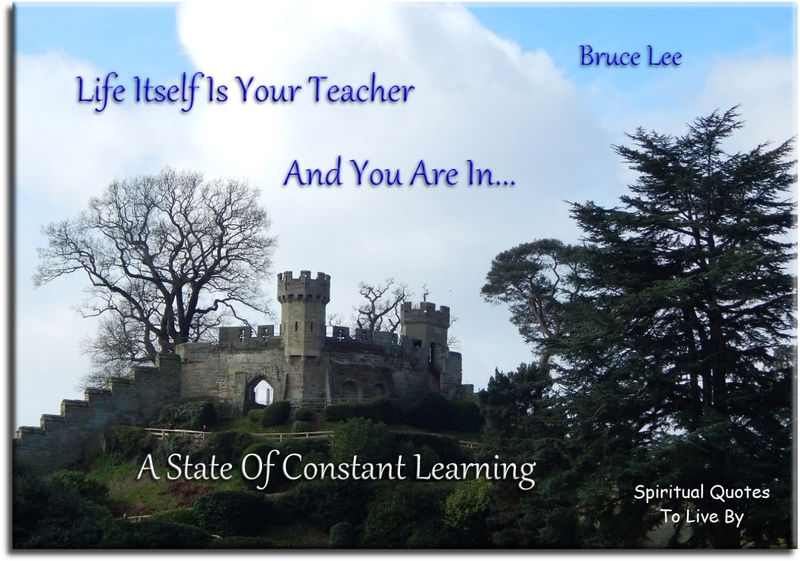 When you look back, often years later, you may see how a brief conversation or an insight you read somewhere, changed the entire course of your life. 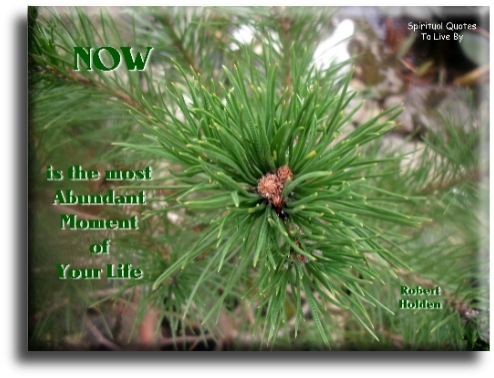 The most abundant moment of your life. Do not take life too seriously..
You will never get out of it alive! Life is a great big canvas..
Live one day at a time..
And make it a masterpiece. Your life is your message to the world..
Isn’t it funny how day by day nothing changes..
but, when you look back everything is different. 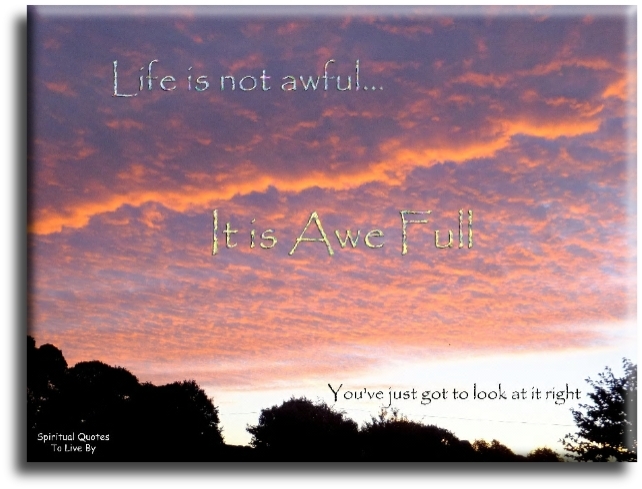 The aim of life is to live, and to live means to be aware; joyously, serenely, divinely Aware. I consider every moment of my life precious, Divine and wonderful. I want my life to be a hymn to the Creator. And today? Today is a gift, that’s why we call it the present. Death is more universal than life. Get out of your head.. I want to feel my life while I’m in it. We are each a thread in the tapestry of life; an instrument in the Divine orchestra; a colour of the rainbow and the entire spectrum, unique and yet part of the same whole. I am you. And you are me. We are One. Life is sorrow, accept it. The movie you see through your own unique eyes. It makes no difference what’s happening. It’s how you take it that counts. The question ‘Who am I?’ is not an idle one. How you answer the question will determine how you live the rest of your life. It will determine the quality of your life. Today is a most unusual day because we have never lived it before, we will never live it again, it is the only day we have. Each person in the world is different and has their own beautiful sound in the symphony of life. Every day may not be good, but, there’s something good in every day. Every moment is unique… never before, never again. Walk outside, stand there in the silence, look up at the sky and contemplate how amazing life is. How to stop time… kiss. How to travel in time… read. How to escape time… music. How to feel time… write. How to release time… breathe. 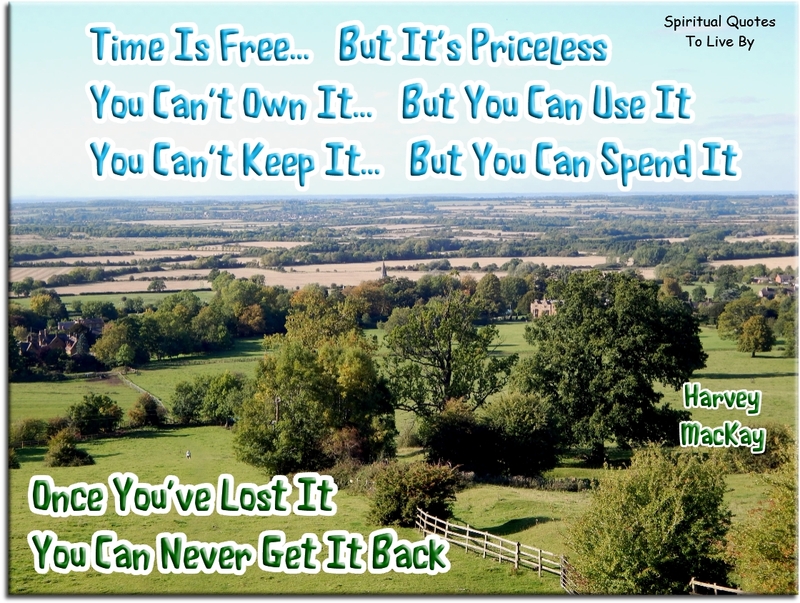 Life is a precious gift.. Live it. You can either scream every time you hit a bump, or you can throw your hands up in the air and enjoy the ride. Life is a series of thousands of tiny miracles..
Life is like a camera..
and develop from the negative. You can either lie down and let it lay it’s paw on your head..
Or, sit on it’s back and ride it. Life is not so much what each individual makes of it, but what we make of it for each other. Life isn’t about finding yourself..
You’ve just got to look at it right. Life isn’t happening to you..
Life is responding to you. Our values are the guides by which we navigate ourselves through life. The future is not something we enter.. The magnitude of your life is directly proportional to the magnitude of your thoughts. The patterns of our beliefs are revealed in what shows up in our lives. There are many things in life that will catch your eye, but only a few will catch your heart.. Pursue those. 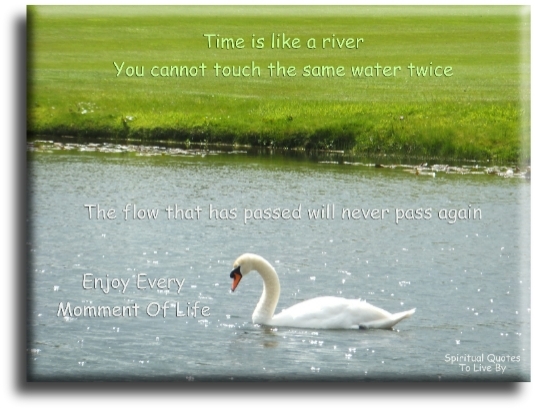 Time is like a river, you cannot touch the same water twice because the flow that has passed will never pass again. Enjoy every moment of life. Let it go to voicemail, it has nothing new to say. When things aren’t adding up in your life..